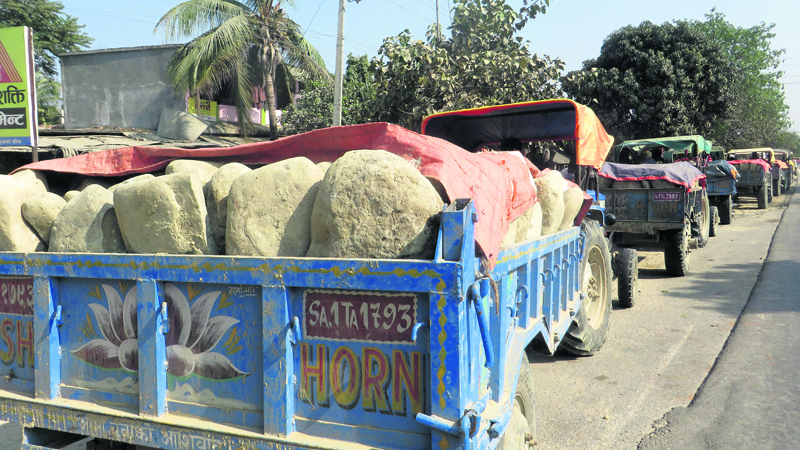 Stones excavated from rivers in the Chure range transported in tractor trailers in this file photo. LAHAN, Feb 9: National Reconstruction Authority’s (NRA) to lift ban on excavating construction materials in the Chure forest range to aid in the reconstruction of earthquake affected areas has alarmed conservationists and stakeholders. They have expressed concerns that the step would be exploited to further damage the already fragile Chure ecology. Government had banned excavation of sand and stones in the region around two years after reports about massive exploitation of resources in the region - including deforestation and rampant excavation of construction materials - were reported. The ban had succeeded in discouraging timber, stone and sand smugglers from exploiting the region’s natural resources. The government is presently reviewing the NRA’s recommendation. If the ban is lifted, private and government construction companies will have access to construction resources in the Chure range that touches along 36 districts. Stakeholders have accused the government of not discussing the matter with stakeholders so far. One of the major factors behind the imposing the ban was the effect of excavation on the regional ecosystem. Due to excessive exploitation of resources in Chure range, drying of water sources and landslides were becoming more frequent in Madhes. These had triggered concerns among the environmentalists and other stakeholders which subsequently pressured the government for intervening. They are once again alarmed by NRA’s recommendations and are warning that such step would endanger the already fragile Chure ecosystem. “This is a very sensitive matter. Chure range is already very fragile. The ban was in fact very long due. 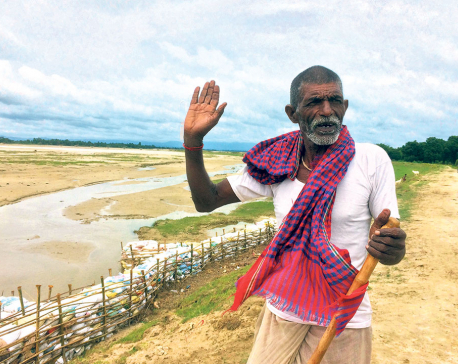 But now, if it is lifted, it is going to be a grave mistake,” said Nagendra Prasad Yadav, who has been consultant for the President Chure Tarai Madhes Conservation Board. “This is also a range where water sources are recharged. If excavation is allowed here, water sources cannot have natural recharge. That will have serious consequences,” he added. He warned, providing access to the Chure region will allow mafias to once again exploit it and that will be too costly for the country. “Lifting the ban might benefit the country in the immediate. But it will have serious consequences in the long run. Who will be responsible for that? The consequences will be fatal for environment, wildlife, human settlements here and across the country,” he stressed. Environmentalists have been noticing unpleasant consequences of the earlier destruction of the Chure range. Yadav stated that several rivers have changed their normal courses. Countless water sources have dried up. Most of the rivers in the region these days have little sand left impacting entire wildlife, environment and flow of water. “Entire natural course here has been disturbed. It is all the effect of the excavation along river banks and rampant deforestation,” he said. Madhes based leaders have said that lifting the ban would be a cruel step against Madhes. Renu Kumari Yadav, vice president of the Sanghiya Samajbadi Forum Nepal, accused the government was trying to turn Madhes into a desert. 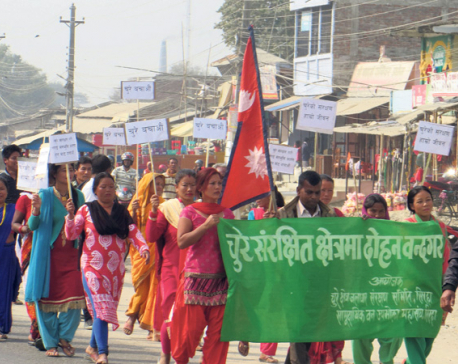 “It is a conspiracy to change Madhes into a desert. If the ban is lifted, Madhes would be badly hit. We strongly protest any atempt by the government to lift the ban,” she said.